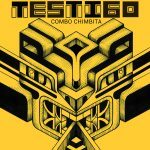 Inspired by Sun Ra‘s Afrofuturism, Combo Chimbita champions “Tropical Futurism” — the idea that astral knowledge can represent a magical and substantial future outside the boundaries of white, Western ideals. After playing together for years, these first-generation New Yorkers with Colombian roots – powerhouse vocalist Carolina Oliveros, synth player and bassist Prince of Queens, guitarist Niño Lento, and drummer Dilemastronauta – began experimenting with different traditional musical styles during their late night residencies at Barbès in Brooklyn. Exploring the connections between visual identity and improvisational long-form trips, Combo Chimbita came together as a four-piece band after they started encouraging more vocals by Oliveros, who tightens the rhythm with her guacharaca. “ANTI- is a special label. It is crazy to be part of such a diverse pool of artists, [and it] feels extra special being an immigrant band singing in Spanish,” Prince of Queens said recently after the band signed with LA’s ANTI- Records. ”I grew up in Bogota listening to a lot of bands on Epitaph and not understanding a word they were singing. But it made me want to be in a band and learn music.” The group’s first release for the label, the single “Testigo,” is a transcendent and fierce Latinx psych tour de force.